Refractor 30mm Apeture 300mm Az Mount Telescope - Good Partner to be children's first telescope. Telescopes designed and manufactured using all fully coated optical components with high transmission coatings for enhanced image brightness and clarity. It has all the accessories needed for viewing with a tripod. It is easy to use for land viewing and sky viewing. For weight, it's pretty lightweight so you can take it outside easily. WARNING:Viewing the sun can cause permanent eye damage.Do not view the sun with this product or even the naked eye. Portable telescope suitable for kids, great for land and sky viewing. 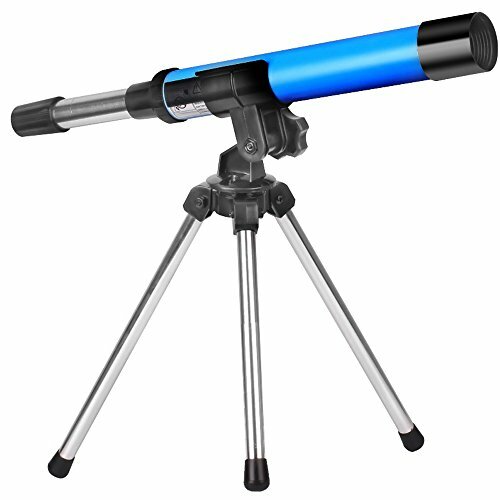 Mini telescope is designed for children ,it will be children's first telescope with full coated optical lens allow you to view clear, crisp images. The telescope for student with metal tabletop tripod and the telescope can be easily removed from the tripod for hand-held use. Small size and light weight make it easy to carry and quick to set up. If you have any questions about this product by DoubleSun, contact us by completing and submitting the form below. If you are looking for a specif part number, please include it with your message.